Second week of March, Noah and I (both photographers) will leave Accra for Wa, attending the DjangoGirls Wa event*. Means of travel? My motorbike. 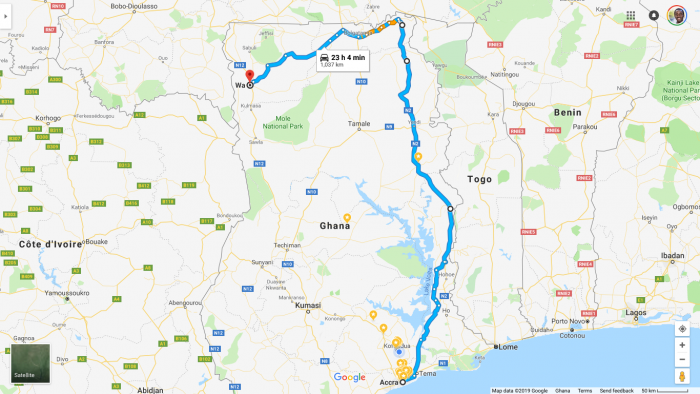 A round-trip distance of almost 1,500km, in a 15 day trip, we expect to burn some 240 cedis of fuel, weaken about 10 engine plugs, pour 2 moto engine oils, along with an adventurous experience of sight-seeing and fun travels. 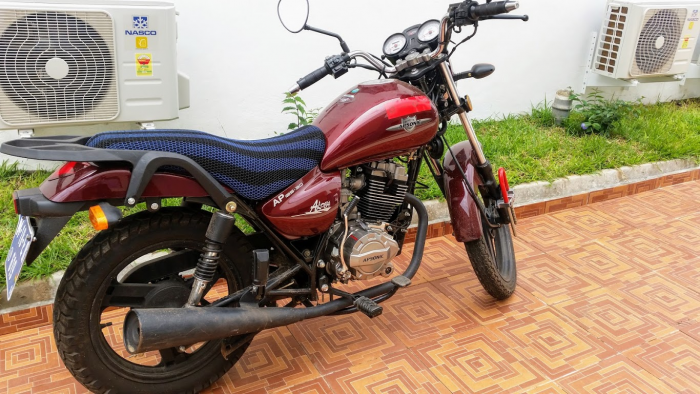 It’s the same motorbike that took me to and fro Presbyterian University College, Abetifi, last year for the DjangoGirls Kwahu event. I’ll be volunteering as a photographer at the DjangoGirls Wa event, with Noah as a coach/mentor. On our way, we will cross through these towns, with the goal of capturing scenes and landscapes 4K videos and pictures throughout the journey, namely, Kpong, Akosombo, Hohoe, Jasikan, Nkwanta, Damanko, Bimbila, Yendi, Tamale, Savelugu, Walewale, Bolgatanga, Navrongo, Tumu, then to Wa. On our way too is the Kran National Park, Gbele Game Production, and the Mole National Park. We wanna be a part of this year’s DjangoGirls event in Wa, and help share the many years of experience we both have as Django Developers with ladies who wanna get started with the Django framework. We’ve never been to Wa; a fitting opportunity to experience the Upper West, and many of the other towns along the way. Such a riding travel experience will be thrilling, and we wanna have a taste. We plan to take photos and 4K videos of places/people/food/architecture we come across on our way, unlike you have never seen. And we get to take you along with us on the adventure. How do we take you along with us? I got my mirrorless camera August last year, Since then, I’ve been sharing videos about tech, travel and people on my YouTube channel. Days leading to the travel, we’ll share our preparation steps. After the trip, we’ll share our trip videos and pictures. If you wanna follow updates of the upcoming trip, keep tabs on us via any of the means above.